Firstly a little technical explanation so that we can understand why the repair had such a dramatic effect. What is a turbo anyway? A turbocharger is a device that creates more power in your engine by compressing air into the engine intake manifold. Only air alone would not give more power so the PCM (Powertrain Control Module) takes care of adding extra fuel needed to maintain the ideal mixture ratio. How does this turbo work? In a nutshell: A turbo consist of two main parts. First there is the turbine that is driven by exhaust gas. Secondly there is a compressor coupled with the turbine through its axis. This compressor pulls the air through the air filter, through the MAF which measures the quantity on air flowing, to the compressor-entrance and pushes it through an air-air intercooler (a simple radiator) to the inlet manifold. Let us follow the diagram. Exhaust-gas (1) is driven out of the engine as a result of combustion. This gas, depending on the position of a control valve (2) directed through the turbine (3) (or the turbine is bypassed and the gas is directed directly to the exhaust system). The control valve is controlled by the PCM (in my TDi with help from a vacuum valve). The incoming air (4) passes through the air filter (5) and the volume is measured with the MAF (Mass Airflow which measures the cooling effect on a hot wire to determine the amount of air) (6). (see www.fordscorpio.co.uk/cleanmaf.htm). The condition of the MAF is crucial because this device helps the PCM determine the amount of fuel that is required to burn at the correct fuel/air ratio and thus the amount of fuel that has to be injected. From the MAF, the air goes through a hose to the compressor (7). As the air passes through the compressor it heats up (the turbine is being heated to red hot by the hot exhaust gas) and hot air is less dense than cold air and it is therefore cooled down by the intercooler (8). From there it is directed through a rubber hose to the inlet manifold (9) and then into the engines combustion chambers. 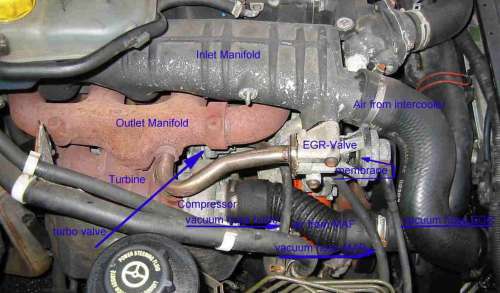 In the inlet manifold is a connection to a small rubber hose which connects to the MAP (Manifold absolute pressure) which measures the air pressure in the inlet manifold. This pressure reading is translated into an electrical voltage that is input to the PCM. Based upon this information, extra fuel is injected which in conjunction with the extra air being forced in by the compressor generates additional engine power. In turn, more air and fuel generates more exhaust gas which spins the turbine faster which pushes more air into the inlet etc in a continuous loop. At the point where the inlet manifold pressure reaches a predetermined limit set by the engine manufacturer, the control valve (2) opens, releasing some of the air back into the exhaust system, bypassing the engine completely. What are the important points in this system? 1. A good quality clean air filter is always important. Never run without an air filter because sand and so on in the air will destroy the MAF, the compressor and cause excess cylinder wear. A dirty filter will not pass enough air and may cause the hoses to collapse, will starve the engine of air resulting in lots of black smoke and no power . 2. 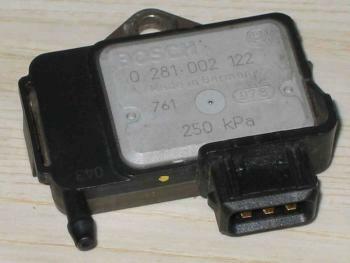 A clean MAF; the sensor-wires should be clean to be able to measure the right airflow. 3. 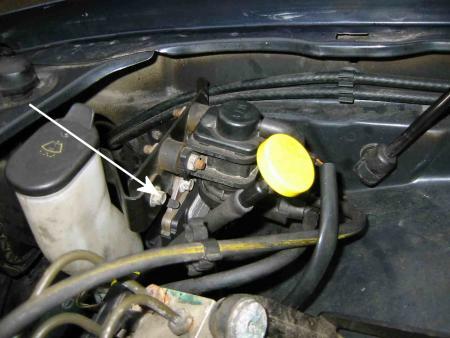 The hoses should be connected tightly, there should not be any leakage because the engine would receive less air than the PCM expects. There was no excessive exhaust smoke whatsoever. Sure, if you I kicked down the accelerator there will be some black smoke but not during normal driving - implied that the turbocharger was probably OK. When I pulled out this hose some sort of liquid poured out - possibly water? Rapid pumping of the accelerator gave some extra power. The engine didn’t seem to be getting enough fuel. Next step in diagnosis: check the MAP. The outer two of the three connections on the MAP return an electrical signal that is inversely proportional to the pressure. With the engine at idle or with 3000 revs it returned the same signal even though the pressure was quite different. The Ford Main Dealer wanted €151 excl. 19% VAT (about £105+vat) excluding installation and testing and resetting the PCM. Fortunately I found that Brezan, a general car parts shop had one for €131 (about £90) (including vat) and installation is a less than a 5 minute job. I tested by driving home from the shop and resetting the computer?? It works quite well, so whats to reset?? I have to admit that the Main dealer said he did not know whether or not the computer had to be reset. But even that is a problem because he doesn’t know, he takes the time to do it and it is not necessary. And who pays the bill? I took some measurements on the new MAP: with 1000 revs it gave 3.06 volt and with 3000 revs it was 2.70 volt on the outer connections of the plug to the MAP (colours: white/red and yellow/red). To get to these contacts I put two thin flexible wires in the plug next to the contacts and put the MAP on the connector. Be patient with this and be careful not to short-circuit the connections! The car now drives better than before and is much smoother in acceleration.